"When you are faced with making any sense of the 10,000 or 20,000 molecules that are present within a cell and evolve during disease, you need an entirely new approach to figure out what is really important among all the changes you see," Fraenkel explains. He develops computational and laboratory experimental methods to uncover the molecular pathways that go awry in disease and search for new strategies and intervention targets. The Fraenkel Lab draws heavily on technologies from machine learning algorithms and high-throughput experimental approaches to probe thousands of genes and proteins and tens of thousands of small molecules simultaneously. "Now we are zooming out farther afield to get a sense of the entire complex of pathways that are altered in the disease state," he says. "This is a complete change in biology, which previously focused on single proteins or single genes to understand what that single gene does in some disease states." These computer science-based technologies, which were first developed in the context of marketing and telecommunications applications, allow Fraenkel to gather massive amounts of data and create maps of molecular activity. Researchers then probe hot-spots in those maps more closely to better understand disease processes and targets to develop therapies. "We can find regions of molecules, pathways, and molecular processes that seem to be altered in the disease ... more than just one molecule but a whole set of molecules together," says Fraenkel. His approach relies on maps of interactions that are pieced together partly by computer-driven machine learning and partly by high-throughput experiments that measure the interactions among all of the molecules, allowing his research to push past what is known from annotated pathways published in scientific literature. 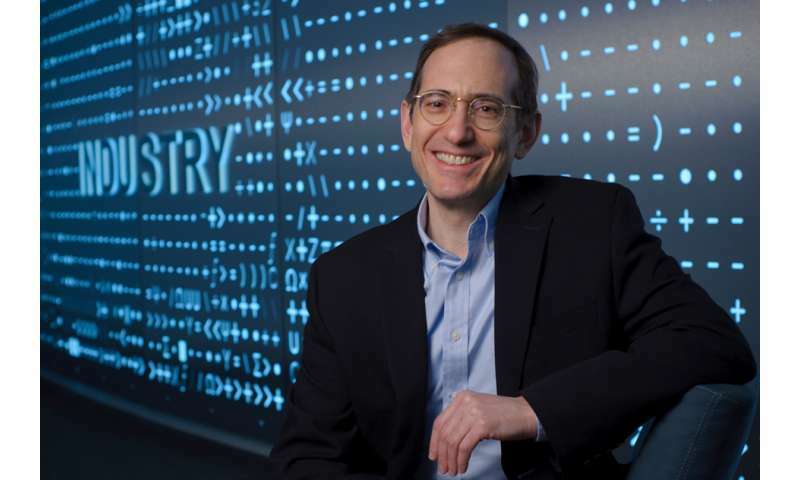 Fraenkel believes in taking an engineering approach in addressing the complexity of biology since "engineering is about making predictable models based on the complexity of the system." This is where Fraenkel applies machine-learning techniques, a fairly new field within computer science involving pattern recognition algorithms. "Biology is unusual in that you are dealing with probabilities about what certain molecules are going to do, but we can have the computer make educated guesses about what is likely to happen and then give us probabilistic answers." He uses the results from those predictions—whether they are right or wrong—to create continually improving models of the biological system he studies. Applied to cell biology, Fraenkel uses machine learning algorithms to find signal among the data. "We use patterns in data as they relate to disease," he says. "We see lots of changes in the proteins and genes found in a patient's cell. The magnitude of the change is huge. And buried in there is some signal that is specific to the disease. That's what we are looking for." Fraenkel is using this research approach to find the molecular causes of amyotrophic lateral sclerosis (ALS), a neurodegenerative disease commonly known as "Lou Gehrig's disease." Working with colleagues across the country, he is engaged in a 1,000-patient study collecting cells and patient history from each patient. The cells are analyzed at the molecular level to find changes in proteins, genes, and the epigenome—that part of the genome that instructs what molecules are turned on or off. The team's plan includes mapping all of the activity within a patient's ALS cell and hopefully the proteins, genes, and small molecules that are directly causing the disease changes. "From there we can go back into the lab and see what happens when we apply drugs that target those molecules," he adds. "Through that iterative process we can hopefully build detailed models of exactly what is wrong in these different groups of patients and hopefully move forward to a cure." "It seems likely that ALS is not one disease, but there may be multiple causes," Fraenkel adds. "By gathering all this data we hope to find groups of patients that show varying types of symptoms compared with each other. Having the richness from the data both from the clinic and from the cells allows us to hopefully identify the molecular basis for these different subtypes." Along with neurodegenerative diseases, Fraenkel's lab is applying these core technologies to other disease areas including cancer and metabolic syndrome. Fraenkel has already partnered with several biotechnology and pharmaceutical companies who are pioneering this type of research approach, and he sees opportunities for others. Because his group is interested in the preclinical aspects of disease, this represents an essential capability that is already part of the drug discovery process that stretches back to understand the basic disease biology. "This revolution in technology that brings together both high-throughput experimentation and techniques from computer science will allow the pharma and biotech industries to focus in on the molecules that need to be targeted in a disease in a way that was never possible before and to have a much broader set of candidates to bring forward for therapeutic discovery," Fraenkel explains. He also hopes his research can give new life to thousands of drugs that do not reach the market even though proven safe. "There is a huge library of bioactive, safe compounds that are on the shelf that could be repurposed," he explains. "The technologies we have developed can provide new insights into how to repurpose those drugs which could really cut short the time and cost for developing new drugs." As a group, Fraenkel's lab is committed to making a positive impact on human health, including moving these technologies into the pharma discovery pipeline. His goal: to leverage the tremendous strengths of the pharma and biotech industries in taking the ideas one can get from preclinical discoveries and moving them forward toward molecules that get shipped to the clinic.